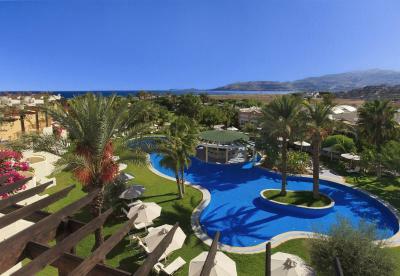 Lock in a great price for Atrium Palace Thalasso Spa Resort And Villas – rated 9.3 by recent guests! Atrium palace thalasso spa resort and villas kalathos, Home away from home… My experience at this paradise was ‘Excellent’. It was more than just a holiday visit, but more like a second home and reuniting with extended family members. I would like to give a special ‘Thank you’ to each of the staff members and discribe how they made my 4 day stay most enjoyable. Mr savas restaurant manager, Mr Apostolos general manager and our favorite Rena main bar thank you both for your ‘Outstanding hospitality. 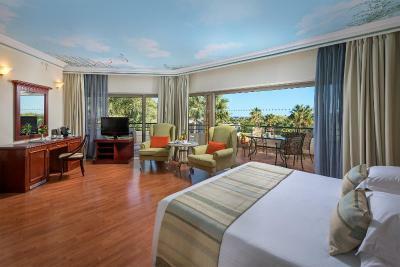 Your accommodations, check-in and services made our stay smooth, relaxing, and a enjoyable experience. I look forward towards continuing our friendship. You guys desire the ‘Outstanding Quality of Service Award’. There is so much to like that you cannot find anything to dislike! We came for the second time and it was even nicer than the first time we came! Very helpful staff from the cleaning women to the top managers. 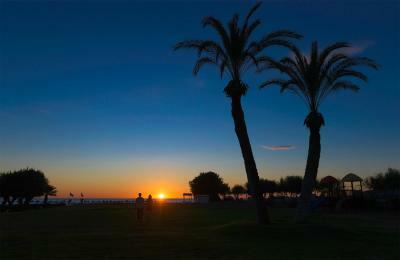 The pools are immaculate, the gardens lovely and the beach is paradise. Excellent restaurants on the property and immediate surrounds. Good shop in the hotel with anything could want. 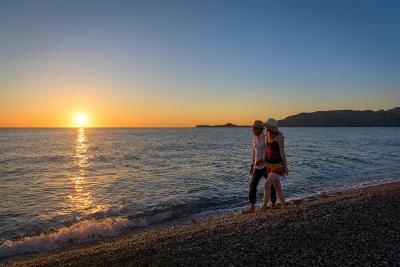 A good atmosphere to relax and enjoy the sea and sun and a good family fun place. There are no words to express how much I'm satisfied with the hotel. The fantastic swimming pools, spa center, and the food were superb! Also, the hotel was part of something special, a proposal to my soul mate. I requested from the hotel to organize our room for the occasion(flowers, "will you marry me" text, champagne and more... ), and they did it happily. The moment of the proposal was perfect and will be forever in our memory. Everything was as expected and beyond, the hotel even upgraded our room to a villa with private pool. I cannot say thank you enough for all of it, thanks to the hotel this moment will be remembered forever as something amazing. Excellent staff service, breakfast and restaurants! 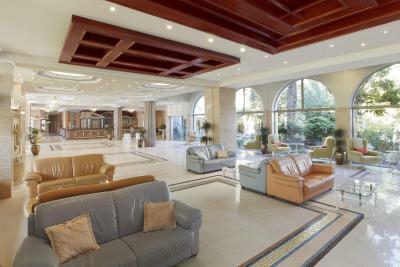 Fantastic hotel with lots to do all day long or just relax.. The staff were amazing. Very freindly , welcoming, helpful. Front desk ladys were fantastic. Hotel itself is the best place to rest and relax. If u want to stay more than 3 days better rent a car. 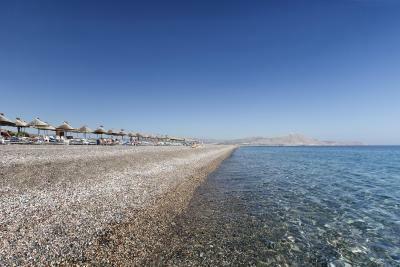 We loved the location of the hotel as it was far away from bussiness of Rhodos. Close to Lindos , a small but beautiful village is definatly a bonos. Overall would recommend this hotel. 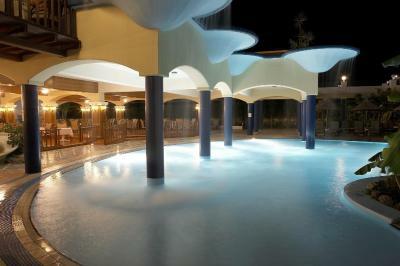 Very good hotel with good SPA facilities. Service level and quality improved greatly after hotel stopped All-included business. 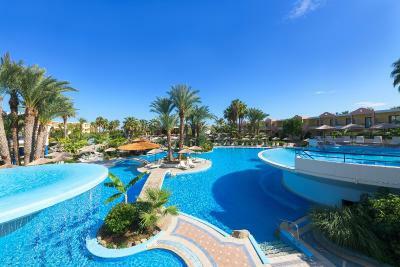 Great beach and swimming pools, more than enough space. Very rich breakfast with big selection of food for any taste. We had the most wonderful stay! We stayed at the Atrium for a friend’s wedding and our experience was nothing short of perfection. Superb staff. Excellent breakfast. Excellent facilities. Good restaurants nearby. 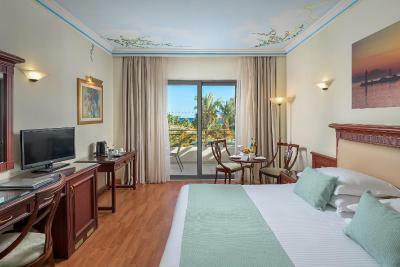 Atrium Palace Thalasso Spa Resort And Villas This rating is a reflection of how the property compares to the industry standard when it comes to price, facilities and services available. It's based on a self-evaluation by the property. Use this rating to help choose your stay! 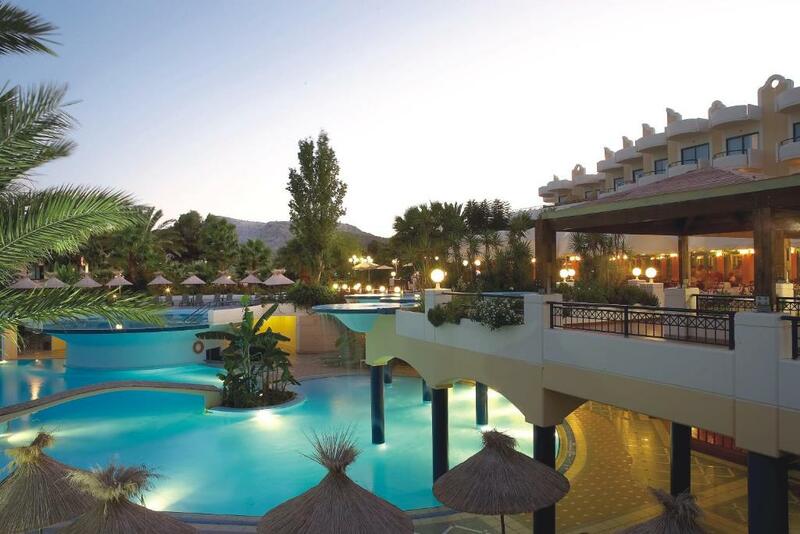 A short walk from Kalathos Beach and only 3.7 mi away from the picturesque Lindos, the elegant Atrium Palace Resort offers a choice of Thalasso Spa treatments and exclusive restaurants. WiFi is offered throughout. 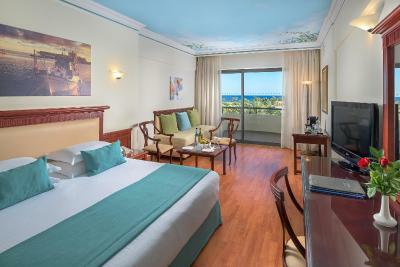 The Atrium Palace offers a variety of well-appointed accommodations, each with private balcony or terrace with views to the sea and the resort’s beautiful grounds. The grounds are a charming combination of waterfalls, gardens and pools. Children will enjoy the great variety of games and activities provided by the animation team. They can also splash around in their own pool and run around the playground. Guests above 14 years old can use the fully equipped fitness center, swim in the large indoor and outdoor pools or play a game of tennis. 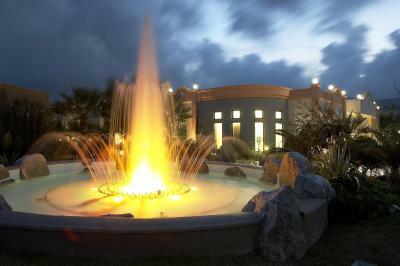 Massage treatments and beauty packages are on offer at the AnaGenesis Thalasso Spa Center. 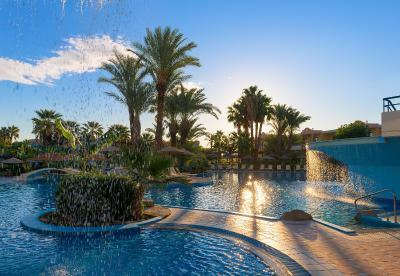 Facilities include sauna, hot tub and a multifunctional sea-and-fresh-water pool. A welcome basket with local wine and fruit is offered to all guests. Theme nights and live entertainment are provided in the Atrium’s beautiful courtyard bar. Live piano music is offered at the weekend, while guests are enjoying their à la carte meal. Free private parking is possible on site. 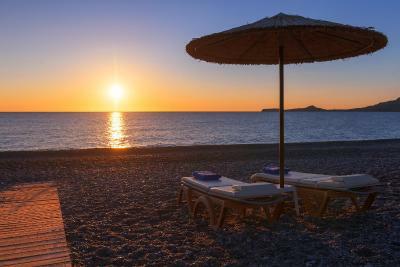 This property is also rated for the best value in Kalathos! Guests are getting more for their money when compared to other properties in this city. 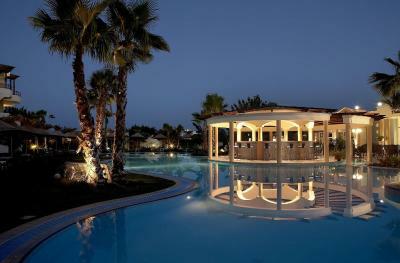 When would you like to stay at Atrium Palace Thalasso Spa Resort And Villas? 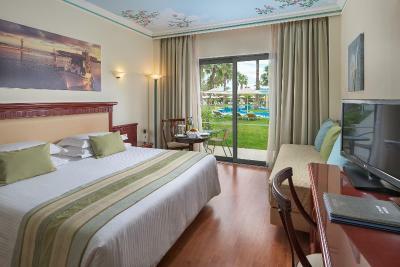 Elegantly appointed room with direct views of the sea. The rate is based on 2 or 3 guests. Please note that maximum occupancy is 3 people (see hotel policies). Two-spaced suite with a bedroom and a separate seating room. The rate is based on 2 or 3 guests. Please note that maximum occupancy is 4 guests (see hotel policies). Open plan suite with seating area and luxurious bathroom with jet shower or spa bath. 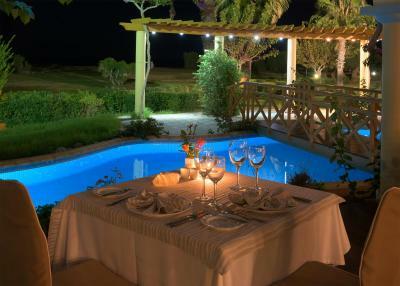 Spacious deluxe villa with open seating area, bathroom and 17-m² private heated pool with furnished veranda. 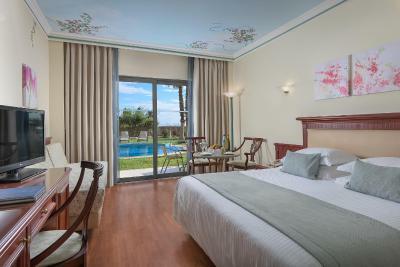 Spacious villa featuring a 26-m² private, heated pool and furnished veranda. Includes separate lounge/sleeping area and 2 bathrooms. The rate is based on 2 or 3 guests. Please note that maximum occupancy is 4 guests (see hotel policies for extra charges). 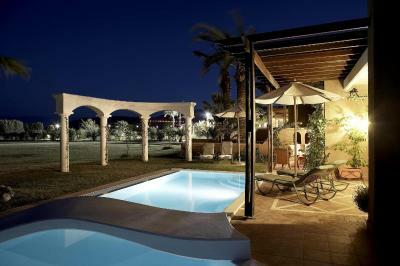 Luxurious villa featuring a 40-m² private heated pool with furnished veranda. Includes 2 master bedrooms and separate lounge/sleeping area with dining and kitchen area, 2 bathrooms and a WC. The rate is based on 2 or 3 guests. Please note that maximum occupancy is 5 guests (see hotel policies for extra charges). 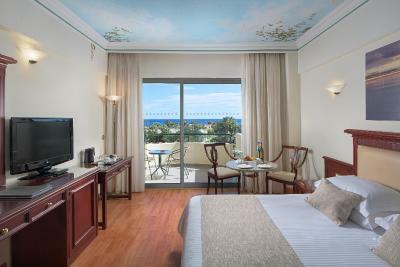 An elegant room with a side-sea view or pool view from the balcony or terrace. 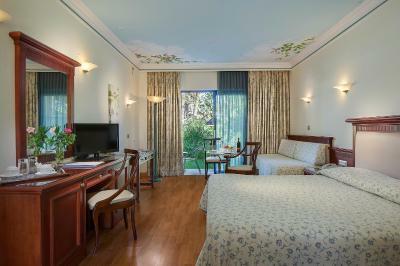 An elegant room with garden view and balcony or terrace. The rate is based on 2 adults and 1 child from 2 to 12 years old. Please note that maximum occupancy is 3 people (see hotel policies for extra charges). The rate is based on 2 adults and 1 child from 2 to 12 years old. Please note that maximum occupancy is 4 people (see hotel policies for extra charges). 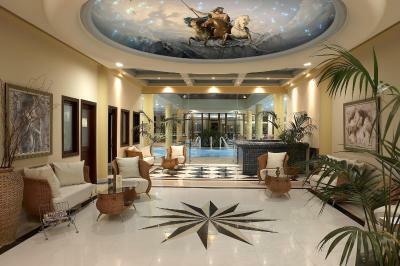 House Rules Atrium Palace Thalasso Spa Resort And Villas takes special requests – add in the next step! 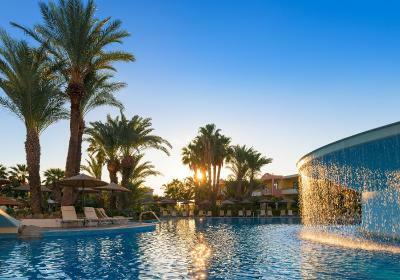 Atrium Palace Thalasso Spa Resort And Villas accepts these cards and reserves the right to temporarily hold an amount prior to arrival. Please note that children under 14 years old are not allowed at the fitness center and the spa and wellness facilities. Please note that the Half Board rate option is served only in the main restaurant (beverages excluded). Please note that long-trouser policy applies in all restaurants of the property. 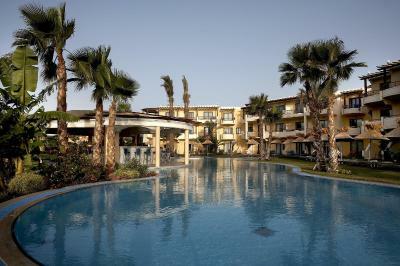 Please note that the remaining 70% of the reservation has to be settled upon check-in. 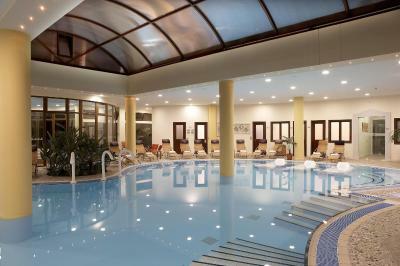 Please note that the access to the indoor pool and spa facilities is upon charge. Please note that air conditioning is available from May to October. Nothing really. The island is just marvellous and so does people over there. 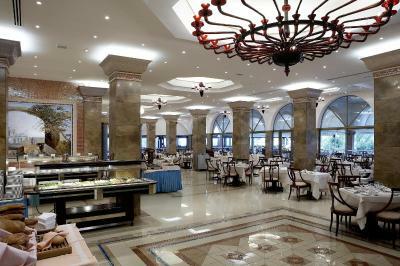 More traditional Greek options in the hotel restaurants would have been welcome. However this is available in excellent nearby restaurants. Fabulous in every way. We had a garden room which was larger than we expected, five steps to a swimming pool from our veranda. I understand that the hotel was full during our stay but it never felt crowded and we could always find a sunbed. I was particularly impressed that reserving sunbeds is actively discouraged. I didn't like that they ask you to pay for water at dinner time and the towels card is also bad idea. I won't take it home , believe me. Helpful, kind staff. Room was in an immaculate condition. Excellent breakfast. The staff is amazing! Pools are great.